the pink clutch ...: Thursday is full of LOVE! Wow! 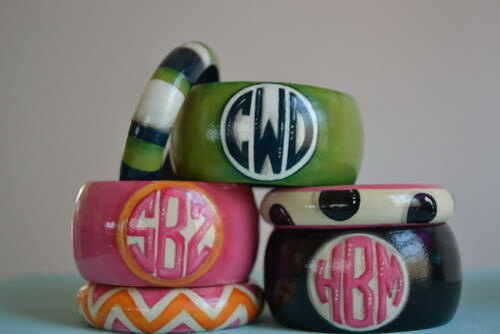 First of all let me tell you that yesterday's launch of the Hand Painted Monogrammed Bangles was HUUUUGE!!! The bestie was slammed with orders from views on her blog, twitter and Pinterest!! I am so excited for her and for all who ordered! The bangles are adorable and the hand painting is amazing!!! All who ordered will be thrilled with their purchases! I have fallen in love with some amazing products lately that I thought I would share with you today! I mean ... if I love them you might too!! First of all Lippy Butter London lip gloss!!! During a quick stop in Ulta last week for conditioner I happened upon this lip gloss. I adore Butter London nail polish and so I decided to give the lip gloss a whirl. OMG! All I can say is I was hooked the minute I applied it ... which was of course the minute I returned to the car. It's thick and the color I chose is fabulous!! "Teddy Girl" is described as pale retro bubblegum pink. That is the perfect description. I love it with all my bright colors this season! Next up on my radar screen is "Snog". And of course they have nail polish to match. I am completely sucked in ... drinking the Kool Aid! Love it!! And while I am sporting matching lips and toes at the pool this summer I will be sporting my new shades! 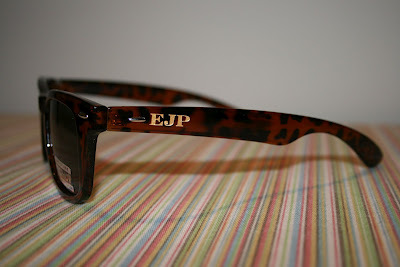 Pineapple Grove Gifts is selling the most amazing Monogrammed Sunglasses. The best part ... they are only $36.50. Truly I contemplated getting two pairs with different monogram styles but then I was reminded by friends last Wednesday that I own a pair of House of Harlow round tortoise sunglasses and the logo on the side looks a lot like a monogram. Good call Allison!! I just received a shipping notification that these babies have shipped and are on the way. I could not be more excited for their delivery!!! Last ... but certainly not least is Bridier Baubles!!! Holy addiction! I am in love with her jewels and most of all with Kerry herself! Our chats on Twitter and her customer service keep me coming back for more!!! 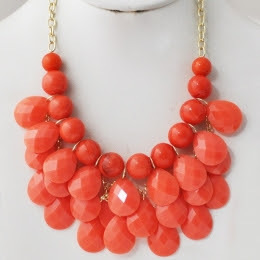 The Boca Grande shown above is the first piece I fell in love with as it was a great copy of the J Crew Bubble necklace I was eyeing. But at a fifth of the J Crew price I could not pass up the Boca Grande. For the price of the J Crew piece I could purchase five pieces from Kerry. And five pieces I do now own! The prices are simply unbeatable and they are shipped out so quickly that they arrive before you even have time to assemble the outfits you will be wearing with your new jewelry! 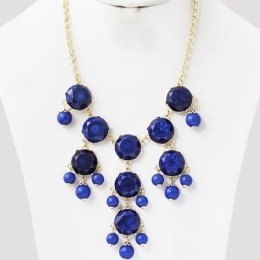 I have the Coco necklace in Mango (above), Ocean and Sunny and the Boca Grande in green and the blue shown above. And there are three more I am coveting at the moment. It has become a full on case of hoarding! Happy Thursday to you all! !